Morning Bird Studio is a full-service fitness and wellness studio. We offer custom-designed personal training, mini-group classes, workshops and fitness events. We are educators and coaches, sharing our knowledge with the community, one session at a time. Morning Bird Studio's mission is to provide a safe space to examine ones physical and mental boundaries and break down those boundaries to reach new personal bests confidently. Newt has over a 15 years of experience as a certified personal trainer. A lifelong athlete, Newt has 25 years of practical gym knowledge to tap into for his clients. 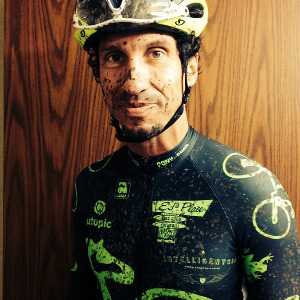 In addition, he is an active competitive cyclist with a strong passion for Martial Arts and Yoga. Along with his RKC certification, Newt integrates his intense drive, competitive spirit and high humor into a supportive yet challenging approach to working with his clients. Success. Coach Newt Cole has been notified of your message.